Shoot a fashion image fit for the cover of PhotoComment magazine and you could win a Photon Studio Flash kit worth R13 000 each. 1. Spacing at the top for the PhotoComment heading. 3. The bottom strip of the cover where other headlines appear. A cover image needs to catch the eye and make you want to pick up the magazine. Keep this in mind as you plan what clothes, make-up, background and lighting you are going to use. 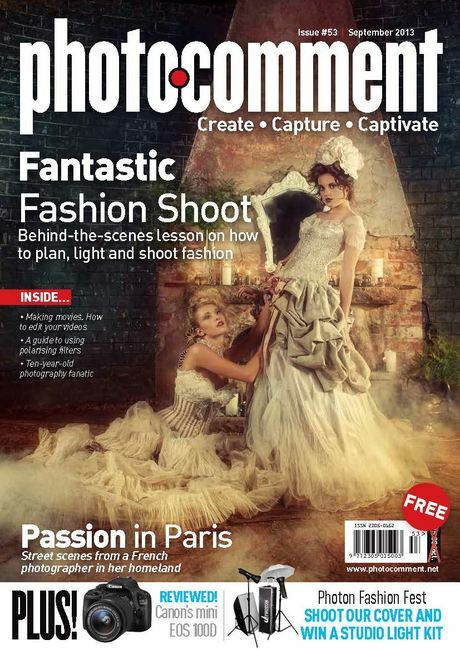 Check out September issue’s tutorial on Fashion Photography for some ideas. 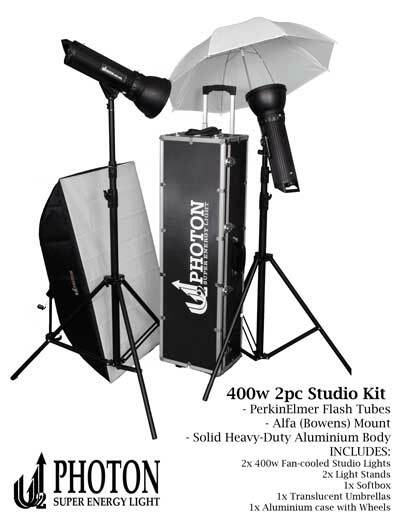 In addition to your image being published on the cover of PhotoComment, the winning student and winning reader will get a Photon Studio Flash kit with two 400-watt studio lights valued at R13 000 each. Cut-off for entries has been extended to November 20, with entries to be submitted below. Please include signed model release forms. For more terms and conditions, read the rules below. Images must be a minimum of 2400 (W) x 3800 (H) pixels. – Entry is free and there are no age restrictions, parental consent is required for entrants under the age of 18. – Entries must be submitted according to specified dates. No late entries will be considered. – The student division is specifically for those currently undergoing an education in photography. To qualify for student entry please include the name of institution and course with submission. – All entries into the competition must be suitable for publication on our website and in our magazine and therefore must be appropriate for a general audience. PhotoComment reserves the right to reject any entry on the grounds of illegality, infringement of any third party rights, the subject matter being offensive or contrary to standards of taste and decency, or on any other grounds that it may from time to time consider appropriate. The decision of PhotoComment to accept or reject an entry is final and no correspondence will be entered into. – The judges’ decision is final and no correspondence will be entered into. – All entries must be the original work of the entrant and must not infringe the rights of any other party. – A signed model release must be available for all natural persons appearing in any image submitted should such be requested. – Entrant agrees to the promotional use of submitted images by PhotoComment and/or sponsors. This includes but is not limited to publication online and in print. – Prizes will only be delivered within South Africa. – Prizes are not transferable. – In the event where a competition is cancelled or suspended, all participants entrants agree to waive any rights that they may have in terms of the competition and acknowledge that they have no recourse against PhotoComment their employees, agents, partners, sponsors or promoters. – By entering any PhotoComment Competition you acknowledge acceptance of these rules and any other rules that may be specified as occasion requires in other competitions.